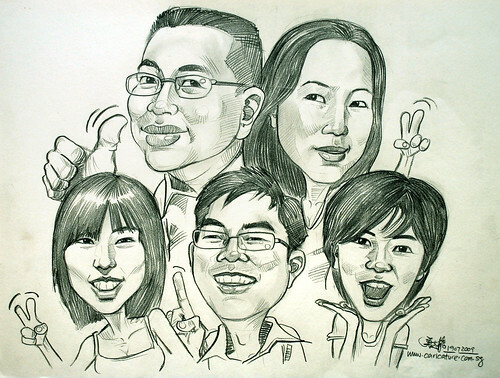 "I’d like to do a Caricature in Pencil of 5 persons put together – is this possible? Like a family portrait sort of thing. I’ve attached the pictures here for your reference. 3 kids and 2 parents. Could this be completed before 11 July as it’s meant for a birthday present?..." "Wah! So cute! Thank you very much!"